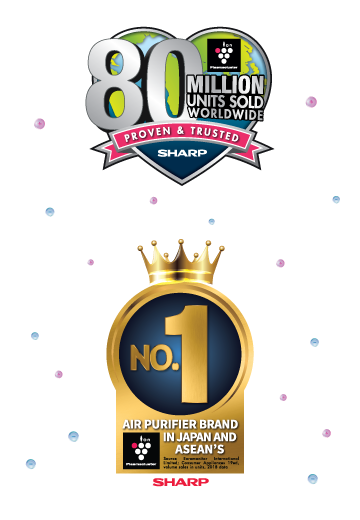 PCI Mosquito Catcher, Sharp air purifiers Fresh air without mosquitoes. Proven to purify the air. Now, they can even trap mosquitoes. High-Density Plasmacluster Ions Remove Airborne Mold and Viruses. Efficient Airflow Control and Rear Suction, Plus High-Performance HEPA Filter Capable of Trapping Microscopic Particles. Capture and Protects from Mosquitoes without Any Chemicals. 100% harmless Safe and Sound protection. By using non toxic mechanisms which are harmless to people and furniture, the air purifier safely captures mosquitoes even for households with small children. Also, because the mosquitoes are captured on a glue sheet, the floor remains free of mosquitoes, and so cleaning is easier. The mechanism of the Mosquito Catcher studied in collaboration with the Institute for Medical Research Malaysia (IMR). Easy Disposal without Dirtying Your Hands. The air purifier has a Haze Mode. When the air purifier starts in Haze Mode, operation is at maximum airflow for the first 10 minutes, and then switches to a higher airflow for the next 50 minutes. After that, operation repeatedly alternates between lower and higher airflow every 20 minutes. 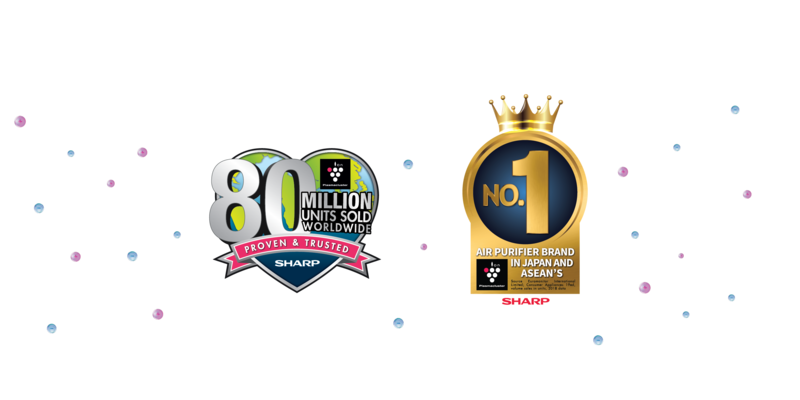 With stronger airflow for the first 60 minutes, a high density of Plasmacluster ions is dispersed into the entire room, which reduces static electricity, making it easy to capture haze particles.